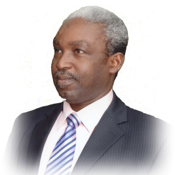 Dr. Olufemi Ladeinde is a medical practitioner and nutritional consultant. He is a graduate of the University of Ibadan, Nigeria, Medical School (1978) with surgical training at Guy’s Hospital, London between 1977 and 1978. He was into sports medicine for the first year of his career. He was a member of the Medical team that took the Nigeria contingent to the Moscow Olympics in 1980 and was responsible for the fitness of the National Football team, the Green Eagles, during that competition. Dr. Ladeinde is an extraordinary communicator who is passionate about the health and well being of his patients, and was a valuable member of the team at County Hospital Ikeja, Lagos between 1981 and 1985, when he left and founded Family Medical Centre. He built Family Medical Centre into a two clinic and 20-bed hospital between 1985 and 1993 when he returned to the United Kingdom. Between 1993 and 1995 he worked at a number of hospitals in the United Kingdom during which he found the “symptom-centric” approach of orthodox medicine was falling short of the high standards he had set himself in every situation where intervention is required to return the body to a state of balance. Dr. Ladeinde manages to explain intricate details of the mechanisms of operation of the human body in a way that the ordinary man in the street can feel at home with. Shorn of the technical jargon that usually flavours standard discourse about a body out of balance or in dis-ease, the body is simple to understand and its signals readily translated to indicate the reasons for imbalance. Once the cause of imbalance has been laid out taking action then becomes much simpler. In 1995, Dr. Ladeinde started studying nutrition and its effect on health and the process of aging. He attended courses at Plaskett Nutritional Medicine College and the Institute of Optimum Nutrition, both in London. Through a process of uncompromising learning and application he has refined his initial model of healthy living to a fine art. He has put together a new paradigm of wellness that has optimal nutrition and lifestyle modulation at its centre. To him treating disease is akin to locking the stable doors after the horse has escaped. Maintaining real health means that disease must be prevented from starting in the first place and this dynamic practitioner believes that if the body is provided with the support it needs it is indeed able to repair and heal itself well into our senior years. Dr. Ladeinde now practices as a general practitioner and Nutritional Consultant.